One day, an old man was walking along a beach that was littered with thousands of starfish that had been washed ashore by the high tide. As he walked, he came upon a young boy who was eagerly throwing the starfish back into the ocean, one by one. Puzzled, the man looked at the boy and asked what he was doing. Without looking up from his task, the boy simply replied, "I'm saving these starfish, sir". The boy picked up a starfish, gently tossed it into the water and turning to the man, said, "I made a difference to that one." One of my readers said that my monarch raising reminded her of this parable. It does describe my thought process about what I'm doing and why I do it. And while it did start out years ago as a way to satisfy my curiosity about the miracle of metamorphosis, once I knew about the monarch's plight, it gave new meaning to the activity for me. 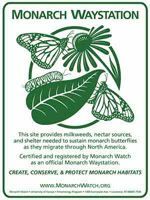 The monarch butterfly is currently being considered for the Threatened Species List under the Endangered Species Act and for several years now, the growing of milkweed has been encouraged and promoted as a way to help this iconic summer beauty. With the advent of Roundup®-ready crops in the mid-'90s, the monarch's habitat took a sharp nosedive. Because milkweed is the only plant that provides food for their caterpillars, the monarch has become collateral damage. 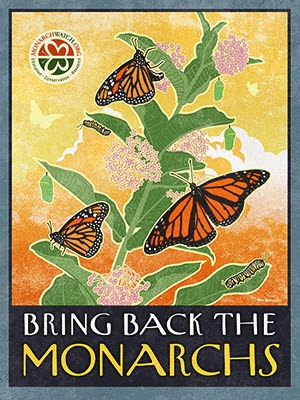 No milkweed, no monarchs. I grow plenty of milkweed in my garden: common milkweed (Asclepias syriaca), butterfly weed (Asclepias tuberosa), swamp milkweed (Asclepias incarnata), and whorled milkweed (Asclepias verticillata), all of which are perennial and native here in Ohio. I also plant seeds for tropical milkweed (Asclepias curassavica), which is an annual here and not native. I've found monarch caterpillars on all five types, with the preferred being (in order of what they like best) swamp milkweed, whorled milkweed, and tropical milkweed. I have found the least number of them on the common milkweed. Currently, there are 20 chrysalides awaiting eclosure, five caterpillars hanging in the "J" position that will be chrysalides by tomorrow, and 31 other caterpillars of various sizes munching away on the fresh milkweed that I provide for them each day in the four enclosures I'm maintaining. This year I've brought them inside in the egg stage too, knowing that even at this stage, I'm increasing their chances of survival. Mostly due to predators, the mortality rate of the monarchs from egg to butterfly is 90-95%, meaning out of the 100 eggs that an adult female will lay, only 5-10 of them will survive to become adult butterflies. to spot them, usually on the underneath side of young milkweed leaves. If you've never grown milkweed, I urge you to do so. It doesn't have to be the common milkweed that many are familiar with and turn their nose up at. 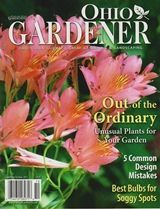 Butterfly weed is a beautiful orange-flowered plant with smaller, narrower leaves. There's a yellow variety of it called 'Hello Yellow' if you aren't a fan of orange. 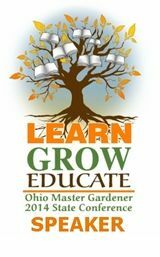 Swamp milkweed does very well in the Great Lakes region and the monarchs have shown a preference for it in many gardeners' gardens. The blooms are a deep rose color, but there is also a white-flowering one called 'Ice Ballet'. For the last couple of years, I've grown whorled milkweed and when visitors to the garden see it, their first reaction is, "That's a milkweed?" Its extremely narrow leaves on 18-24-inch stems gives it a look similar to Arkansas Blue Star (Amsonia hubrichtii), but with the typical milkweed flowers in white. The annual (Zones 9-11) tropical milkweed has gorgeous bi-colored red and yellow flowers and is easily grown from seed. This one has created some controversy among the monarch enthusiasts, with some indication that it may not be in the best interest of the monarchs to grow it in the far southern states, where it is perennial. (You can read more about this here.) This is pretty much a non-issue for those of us in the north, where tropical milkweed dies at first frost. Growing more milkweed is one way that you can help the monarchs and yet another is by bringing in eggs and/or caterpillars you find, to raise to adulthood in your home. 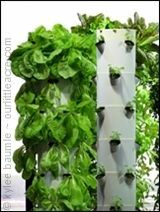 Raise a few or raise many, you will be greatly increasing their chances of survival by doing it. Raising monarchs inside isn't difficult, but it does take some dedication to their well-being by making sure they have a clean environment and plenty of fresh milkweed to eat. That means you'll have to clean up caterpillar poop, but don't worry, it doesn't smell like most poop. It has a mild, green, woodsy odor to it because a monarch caterpillar's diet is simply leaves. As I said, from egg to adult, the monarch has only about a 5-10% chance of survival to adulthood, due to predators and other dangers, when left in the wild. Bringing them inside increases their chances, with rates often as high as 90%. Watching the process from egg to adult is fascinating, at the very least, and even our almost-three-year-old granddaughter, Hannah, loves checking on the "catta-piwerz." If asked what those caterpillars turn into, she'll tell you, "Butterfwies!" Don't think you can't possibly make a difference because you're just one person. Don't think you can't make a difference because you can't do as much as someone else. Don't think you can't make a difference, because you can. It's not that hard, it doesn't take that long, and imagine how good you'll feel knowing that you helped save the monarchs. 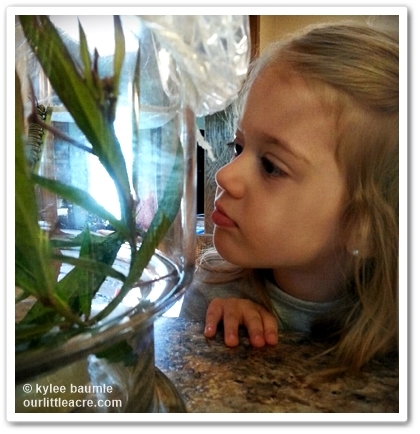 For more information on raising monarch caterpillars in your house, visit Monarch Watch. 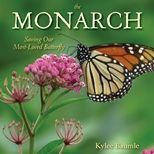 There you will find oodles of information on monarchs. Another wonderful site for tracking the migration of monarchs and other wildlife in both spring and fall is Journey North. There are several Facebook groups devoted to monarchs, where fellow monarch enthusiasts share their experiences. 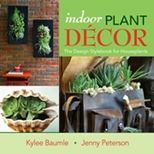 It's another great way to learn more and get advice. We enjoyed our first peaches ever (that we grew ourselves) this week! in my kitchen, nearly ready to pupate. Oooh oo-oooh. My day didn't really start out to be focused on monarchs, although just yesterday I'd brought in a fifth instar monarch caterpillar so that I can witness the miracle of metamorphosis up close. I had other plans for my day, but those got put on the back burner. It all started this morning when I walked out to my back garden, where all my milkweed grows, with the intention of finding more monarch caterpillars to bring in. These precious insects are vulnerable to prey and I know they stand a much better chance of living to adulthood in the safety of my kitchen than they do in my garden. That was brought home to me in the first minute I arrived at the milkweed patch. Not one, but two monarch caterpillars had met a deadly fate. It could have been a wasp, ants, bacteria, or any number of dangers that felled these two, and such is life, but I wanted to help any others if I could. I found evidence of a larger caterpillar when I spotted its green frass lying on a leaf, but I didn't find the caterpillar. A monarch's poop is called frass. of the swamp milkweed's is just luscious! They seem to love my swamp milkweed (Asclepias incarnata) the most so I did a pretty close inspection there. I didn't find any more caterpillars or eggs. That was puzzling to me because on any given day, I can go out to the garden and find one, sometimes two, adult monarch butterflies flitting about. So I moved to the common milkweed. Nothing there either! Plenty of milkweed beetles and milkweed bugs, but no sign of monarchs. what the morning meeting was all about? It was then that I noticed some very small common milkweed plants coming up in the neighbor's yard, which of course had to have grown since the last time he mowed, less than a week ago. No plant was more than eight inches tall, and it's a testament to how quickly milkweed can shoot up. I decided to look closer at those little plants, knowing that monarchs prefer the young, tender plants for laying eggs. Each of the ten plants had one egg and a couple of them had two. I carefully pinched the leaves off to take inside, because I knew it wasn't going to be long before that lawn got mowed again and then they wouldn't stand a chance at all. In all, I found fourteen eggs. I've collected caterpillars and chrysalides on many occasions over the years and brought them into the house for safekeeping and observation. I know what to do with those. But I'd not collected eggs before, so I had to look up what to do. I took a glass casserole dish and lined it with a wet paper towel, then laid the leaves on top of that. I covered the dish with a piece of Saran Wrap and poked holes in it for air. I'll need to keep the paper towel moistened and watch for hatching, which usually occurs within 2-3 days after the eggs have been laid. Fourteen monarch eggs await hatching. Two of the eggs, probably laid at the same time because of their appearance and location on the same leaf, are very close to hatching. I can tell, because I can see the black heads of the larvae shining through at the top of the eggs. Not only did I find eggs, I also found two newly-hatched caterpillars on a very young plant. It's amazing I even saw them, as they're a mere 2mm in length. That's about the same length as two grains of salt laid side-by-side. Yes, they're that tiny. I've now got my monarch hatchery set up on the kitchen counter and once again, will be watching the miraculous process that is the life of a monarch butterfly. It simply never gets old to me. If you want to read about my past experiences, click here, which will sort out all my posts on monarchs.